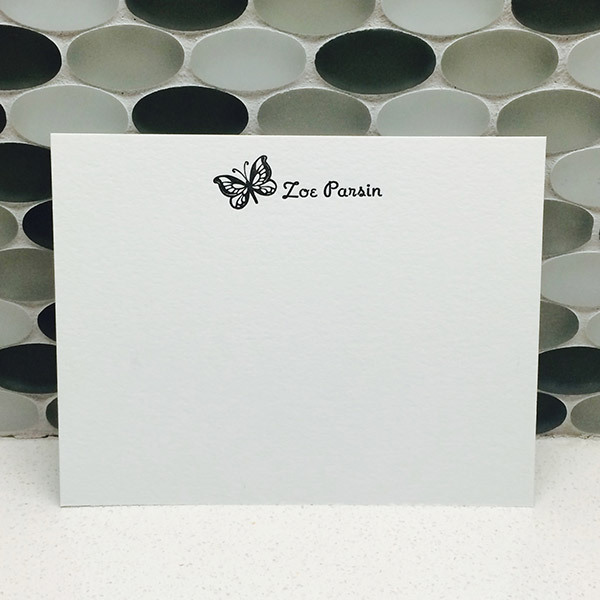 Butterfly note cards customized with your name. Printed on an antique letterpress on thick 100% cotton paper. 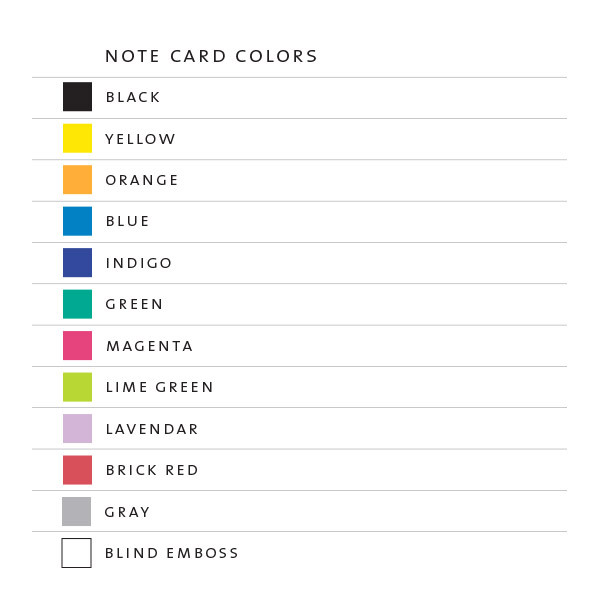 Cards are 4.25″ x 5.5″ and come with a matching envelope. Upon check out please select color of ink, paper color (white or off-white) and the name you would like printed. Colors are hand mixed per job if there is a color you would like that is not shown please let me know in the notes.